복층형으로 구성된 아파트먼트 실내는 최대한 간결한 디자인 어휘가 적용됩니다. 콘크리트의 차갑지만 모던한 물성을 중화시키는 목재와 부드러운 곡선이 밸런스를 이루는 디자인 입니다. Design firm Killing Matt Woods, has completed the interiors of a modern loft apartment for two design professionals in Sydney, Australia.The west-facing open plan apartment features a custom kitchen and a mezzanine bedroom which overlooks the living room space and small terrace. 혼자 또는 둘이 사는 작은 세대로 변화하는 지금, 음식의 소비 문화 또한 변화하고 있다. 이곳 키친 스튜디오는 이러한 사회현상을 반영하는 곳으로 요리를 배우거나 배달, 가져가 먹을 수 있는 커뮤니티 장소입니다.사교의 공간이기도 식사를 해결해야 하는 사람들에게는 일정금액으로 집에서 요리해야 하는 번거로움과 외식에 대한 부담감을 해결할 수 있는 방법으로 제공됩니다. 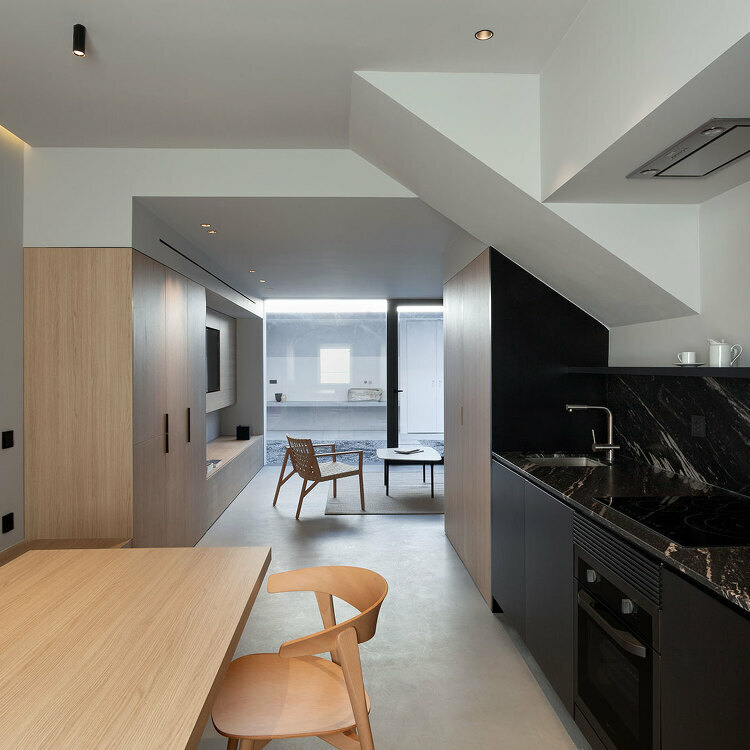 Kitchen Studio SUIBA is a minimalist space located in Tokyo, Japan, designed by Schemata Architects. Due to the spread of the internet, people have grown accustomed to two-way communication betw..